I love avaiation. I even entertained the notion of being a pilot for a year or so, before I dismissed the chance owing to my lacklustre reflexes. Let me just tap your knee. Have you done it yet? Yes Ruben, five minutes ago. OW, that hurt. One of the more interesting carriers I discovered during my obsessive childhood research was World Airways. 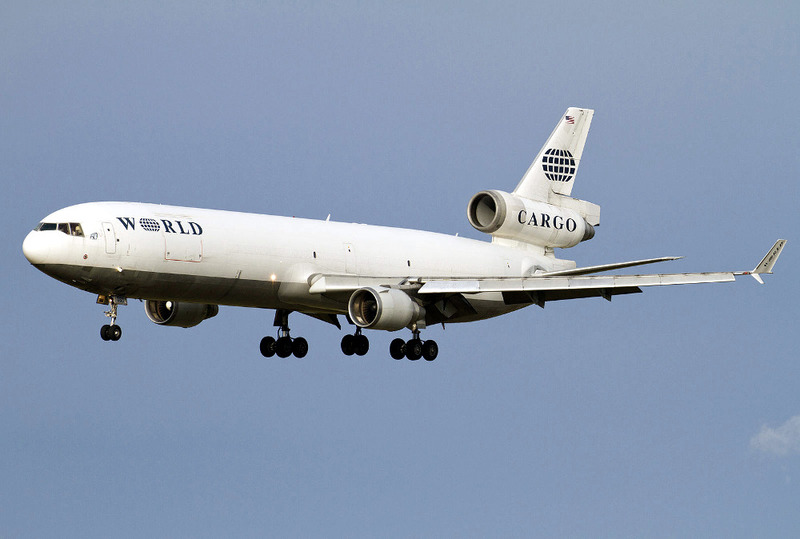 Below is one of their MD-11 freighters, taken by Brorsson on Wikimedia Commons. Compared to regular scheduled airlines, World was largely a wet-lease and charter operation. I suppose in today's IT parlance, you'd call them Aircraft as a Service. They provided the aircraft, maintainenance and crew, and you gave them the destination and payload. Their most recent fleet consisted of Boeing 747-400 and MD-11 freighters, most converted from passenger jets. World mostly serviced private clients, but they were also hired extensively by the US Government during the Vietnam War and subsequent conflicts. An old book I had mentioned their pilots were among the most skilled at avoiding rockets and such, scary stuff. As a logo nerd and aviation livery enthusiast as well, there was also something haunting about both of World’s. I attributed their spartan look to the fact that they were usually acting on behalf of someone else, so they didn't want to draw too much attention. The same would apply to war zone operations. But the effect was downright eerie; maybe it was just me. What I didn't know until some insomnia-enduced late-night Wikipedia reading was they ceased operations on my birthday in 2014. No more World.